Every business has its own promotional money earmarked. The problem is that online promotion can cost a good dollar. 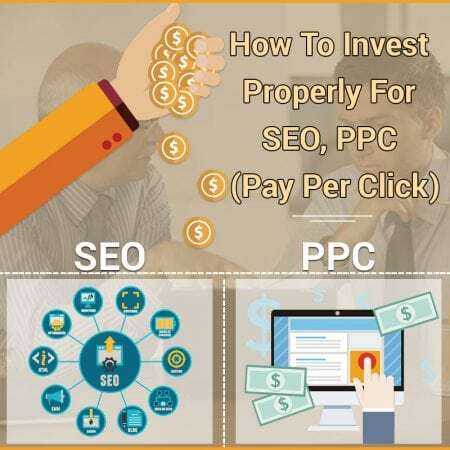 To get to the top of the search engine pages or even to set up a PPC or Pay Per Click program can not only be costly but call for a lot of work. We need to look at how far your dollar can go and for what you should be looking out for. First of all, think wisely. You don’t want all your investment money going into one thing. Keyword research and other vital SEO factors don’t have to cost you that much money if you use your time wisely and do some research on your own. Google offers some free programs to help you do research and other software out there can do similar. You’ll need to do some shopping around but the bottom line is that you can get a good head start on the competition via your own education. This means doing a wise and comprehensive look at your budget and applying it where the statistics say is best. Don’t put all your eggs in one basket is a good bit of advice for your PPC campaigns. You’ll need to look at the entire picture of where you want your budget money applied and then comes the harder work. PPC is fraught with dangers and pitfalls. You can lose tons of money if you don’t do it right. You want people to click those links and convert them into customers, not just people ogling at what your site has to say. Your skills at sales pitching come in handy here because you could send everybody on Earth to your website but if you’ve no savvy to sell them something all you’re doing is burning up bandwidth. Each PPC program has its own guidelines and professionals may or may not help you without paying for top flight consultation fees. The plus side is that thee proper PPC systems have statistical data that you can peruse at any time and distinguish which campaigns work and which don’t. Once you get a feel for this you’ll know far better how to apply your budget. It’s better to get 100 sales from 10,000 hits than 1 sale after 1,000,000 hits. This is where many goof up. They figur3e the more traffic the better. Not so, you want that targeted organic traffic that only fine tuning and knowledge can afford. With a bit of an education you can now shop around for those PPC campaigns that will get you rolling. As mentioned earlier, spread things out. Invest different percentages into each campaign, do your work and promotion and see what grows from that crop. If a blog of yours gets 10,000 hits a month equaling to 100 sales then that’s the PPC program you want to keep. You want to rinse and repeat what’s been successful there without turning things into a spammy mess. You might then notice another program sends in 10,000 hits but you get only 2 sales. That one you have two choices, dump it or keep experimenting. Does the way you do your successful strategies work the poor performing PPC? Did you forget something? Did video on your successful PPC blog enhance your chances but you’re too lazy to apply the same winning strategy on your other venues? It can be something as simple as not applying the right data that makes those surfers want to buy. You’ll have to be honest with yourself here and tweak things along the way that are proven successful not just shiny bling guru programs promising everything under the sun. Precision is everything when it comes to SEO and PPC. So many factors that include Local SEO and brand name SEO and so on. You might stumble upon a procedure no one else has thought of before and make a killing. It happens often but then others ape it or the true creators want to bottle it up and sell it as a PPC product costing an arm and a leg. It’s all about competition and you need to study, study, study, and apply what is only successful. SEO Tampa knows this PPC game all too well. Let them take the burden off your shoulders and get in there and fight. That’s what they’re here for so that you can have PPC campaigns that bring about a healthy ROI.